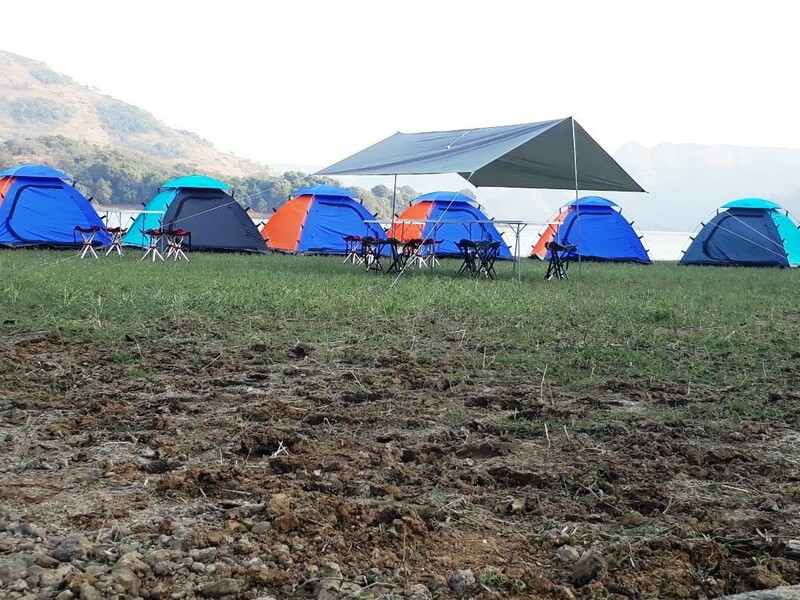 On this Shirota Lake camping trip, combine the scenic delights of camping on the banks of Shirota Lake with a guided trek to the sunset point and fishing in the Shirota Lake. After an adventure-filled day, gather around a crackling bonfire at night with delicious barbeque snacks. As the night approaches, you'll sleep in tents pitched besides the lake and wake up to a calm morning in the heart of nature. 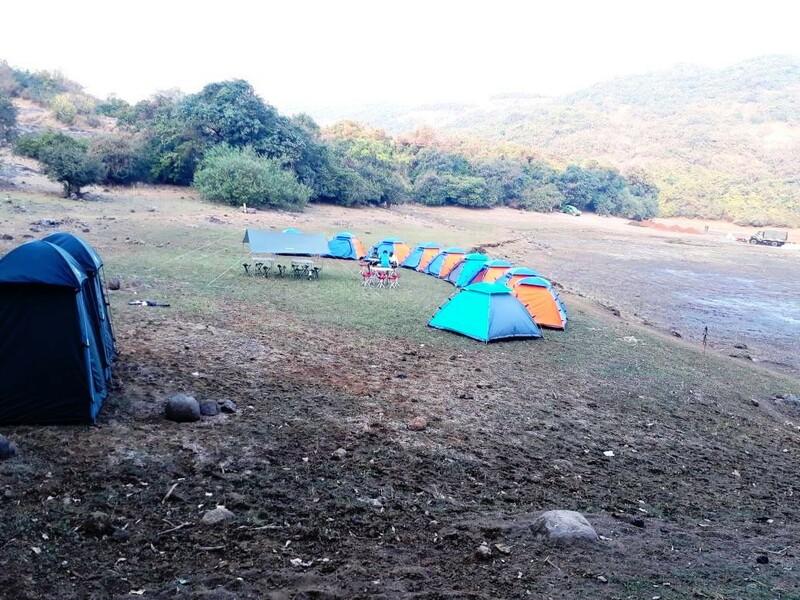 A perfect way to spend quality time with your friends or family, this camping trip will take you away from the busy city life and into the peaceful vibes of nature. NOTE: It is not recommended that you drive up to this campsite, since the access road is not well-built. You can either trek for 7 kms from Lonavala, or request a Tata Sumo pick-up and drop from Lonavala. Check Includes/Excludes tab for costs. Located near the Rajmachi Fort, the Shirota Lake is easily accessible via a 1-hr drive from Lonavala. 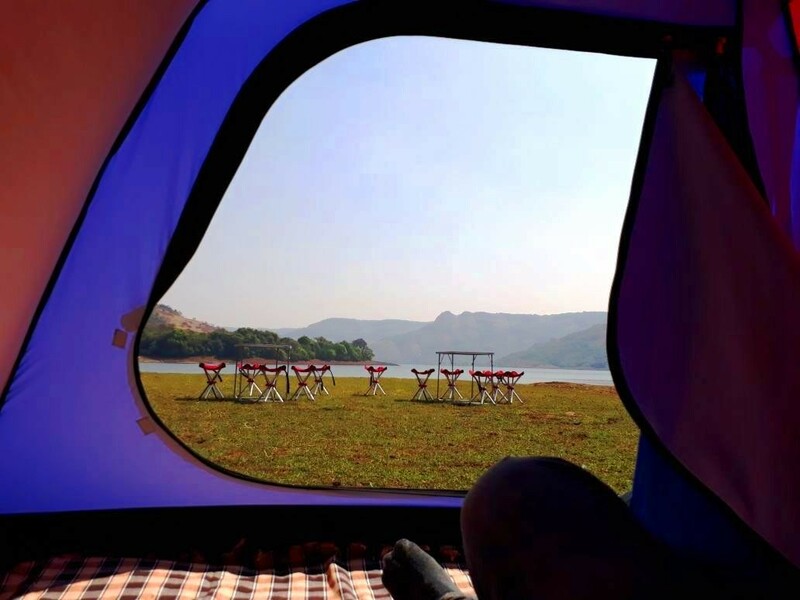 Your campsite, pitched on the banks of the lake, gives you a panoramic view of the Sahyadri hills surrounding the lake. 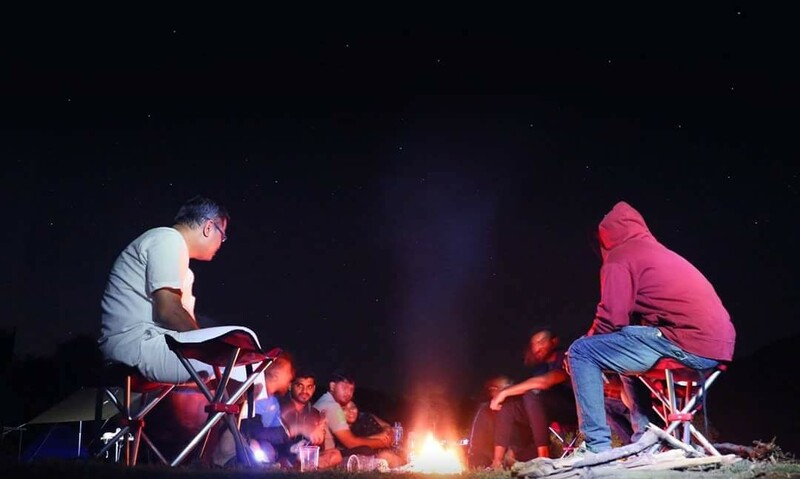 Winters at the lake bring chilly evenings at the campsite, making for a fun and lively bonfire session. Summers at the campsite are equally fun with pleasant surroundings. You’ll be sleeping in tents that come equipped with a foam mattress, blanket, bed sheets and pillows. 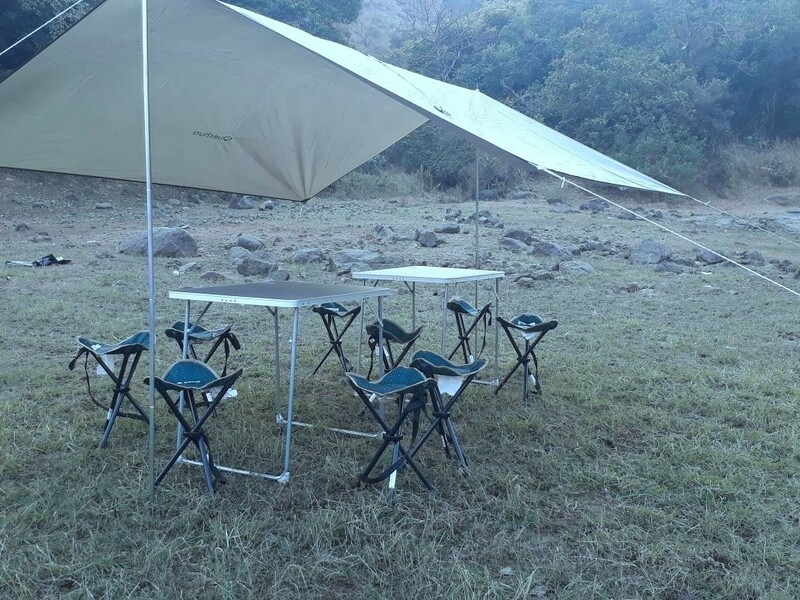 The campsite comes with a kitchen/dining tent to serve delicious veg/non-veg meals. • Go camping at the Shirota Lake and escape from the busy city life. • Embark on a guided trek to the sunset point near Shirota Lake. • Enjoy a night bonfire with barbeque snacks. • Sleep in tents pitched on the banks of the lake. Camping at Shirota Lake is a non-strenuous activity. However, if you have any cardiac or respiratory conditions, or suffer from knee or spinal problems, please consult your doctor before booking this trip. 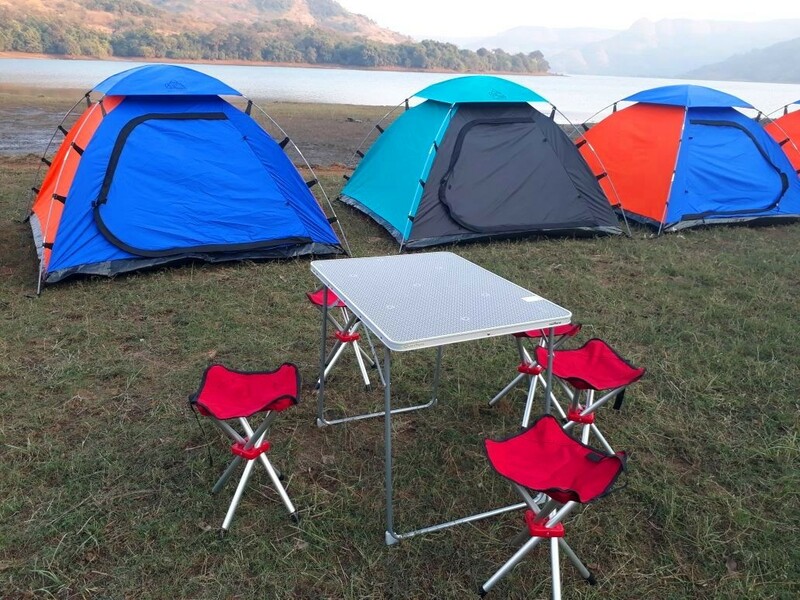 Travellers are required to follow instructions of the tour guide while camping at Shirota Lake. Consumption of alcohol and drugs is strictly prohibited while camping at Shirota Lake. For all cancellations made after booking the Shirota Lake camping trip: 50% refund. Check-in time at the campsite is at 16:00 hrs, while check-out time at the campsite is at 10:00 hrs. Accommodation for children younger than 5 years of age is not charged. Accommodation for children between the ages of 5-12 years is charged at INR 1,000. Accommodation for children older than 12 years of age is charged at full price. 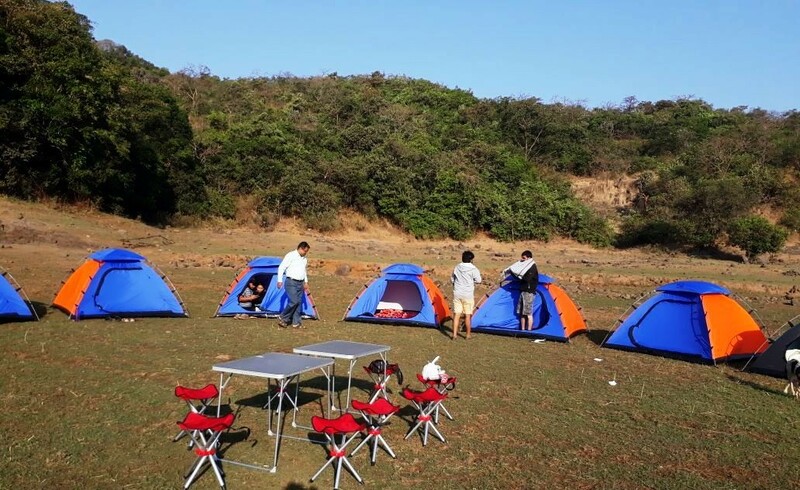 If you're reaching the campsite by driving your own car, you can park it at a parking lot in Kunegaon for an INR 100 charge, and request a Tata Sumo pick-up and drop at an additional charge. While the campsite is accessible by road, travellers driving to the campsite will do so at their own risk. The operator will not be responsible for any damage to the car, or any injuries. The owner/driver of the car will be liable for any costs for repairs or towing if they decide to drive on their own to the campsite. 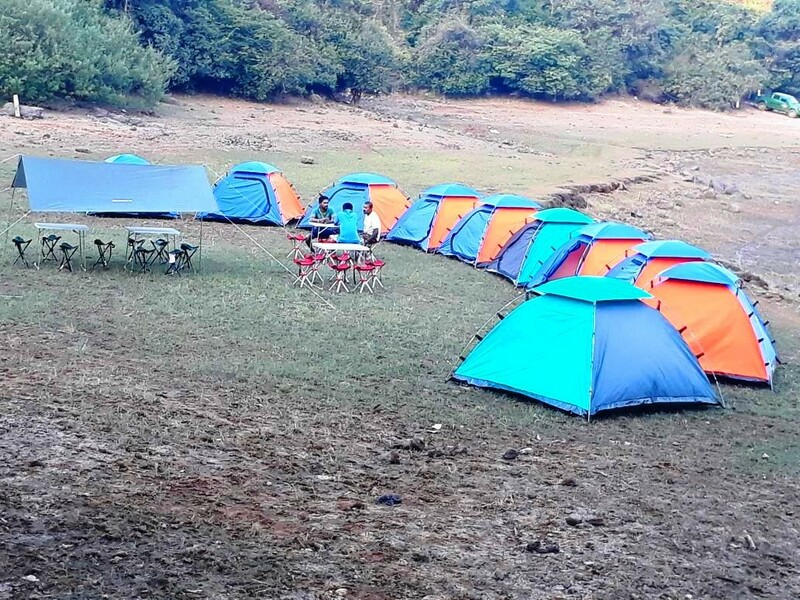 The tour operator takes utmost care to ensure safety of the travellers and shall not be held responsible for any mishap or accident while camping at Shirota Lake. Please note that pets are not allowed at the campsite. There is no pick-up for this Shirota Lake camping trip. There is no drop-off for this Shirota Lake camping trip. Arrive at the campsite and check-in by 16:00 hrs. You can spend the rest of the day at leisure. You can go fishing at the lake, with all gear provided, or simply spend some time relaxing on the banks of the lake. An hour or two before sunset, you'll embark on a guided trek to a nearby sunset point. At night, you'll gather around a crackling bonfire and have delicious barbeque snacks. Overnight at the Shirota Lake campsite in tents. Stay in tents pitched right besides the Shirota Lake. Wake up early morning and spend some time on the banks of the lake, or challenge your friends to a morning game of volleyball or badminton. Check-out of the campsite by 10:00 hrs. Your trip ends here. 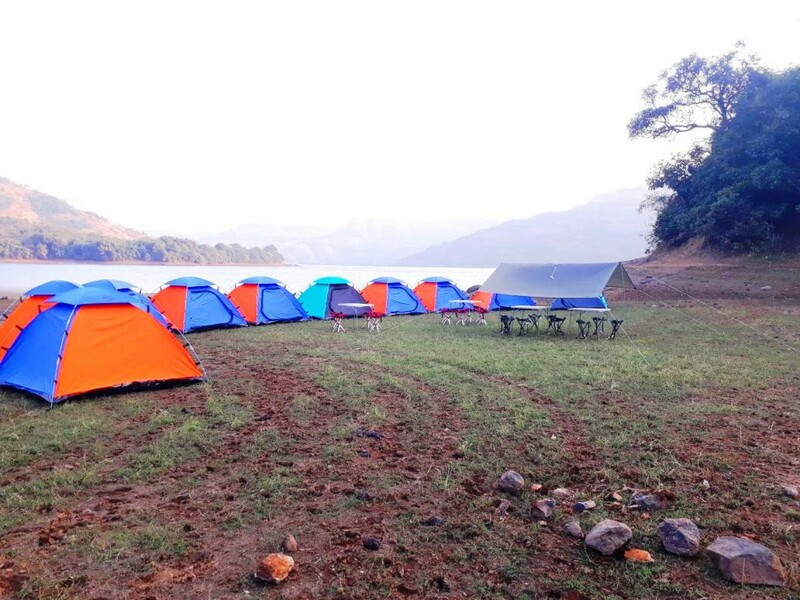 Overnight at Shirota Lake in tents. Check-in time at the campsite is at 16:00 hrs. 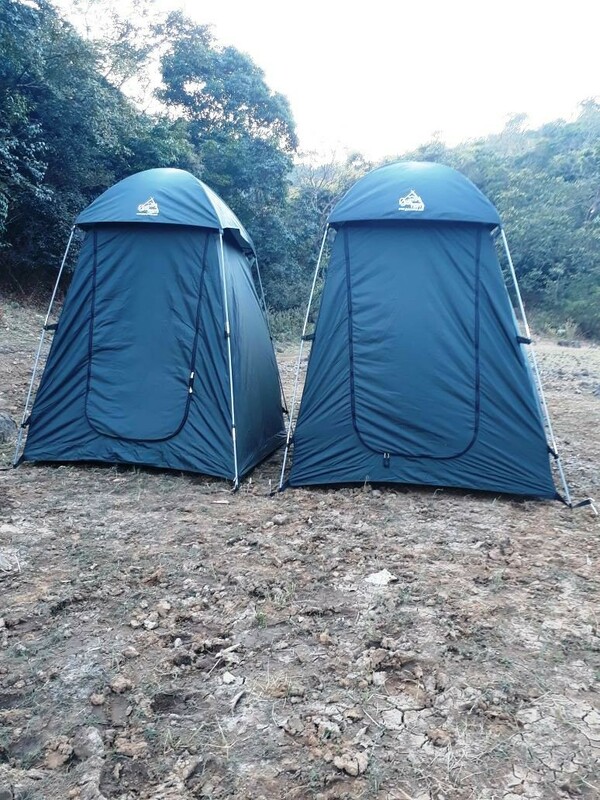 You'll be accommodated in tents on triple-sharing basis. 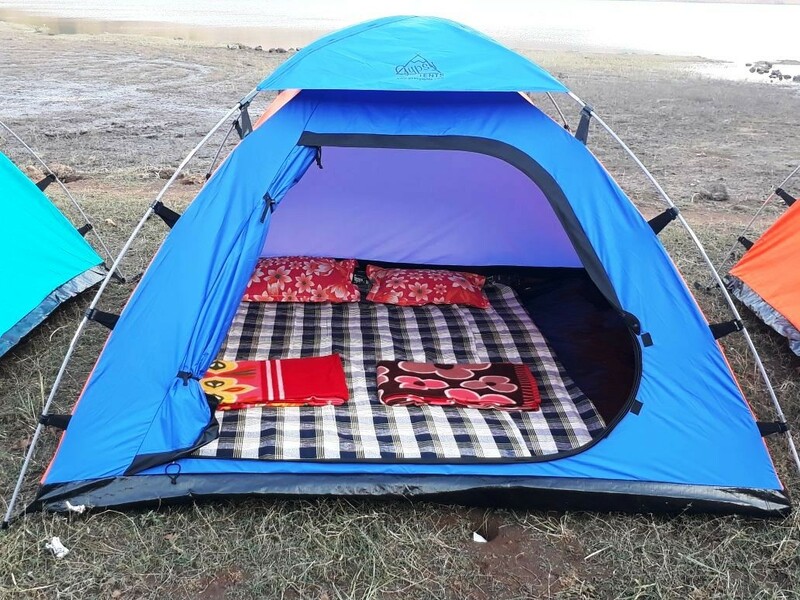 The tents are equipped with foam mattresses, bed sheets, blanket and pillows. If you're camping in the winter, it is advisable to carry an extra blanket. Today's meal package includes veg/non-veg dinner. You'll also be served barbeque snacks and evening tea with biscuits. Inside view of the tents: mattresses, pillow, blankets, bedsheets. Today's meal package includes a veg breakfast consisting of kanda poha, upma and tea. Check-out time at the campsite is at 10:00 hrs. Your trip ends here. Wake up to morning views of nature.